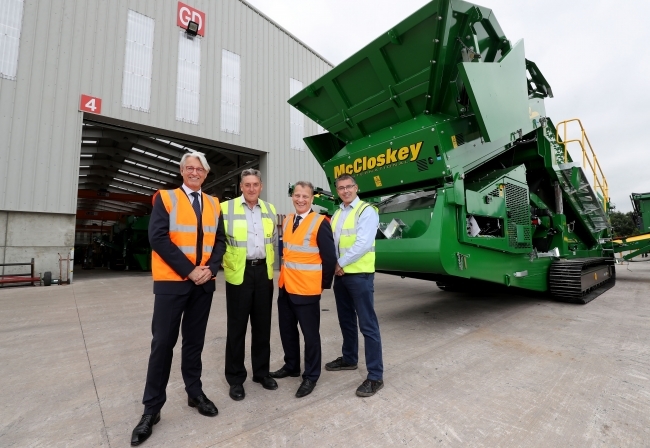 Canadian-owned McCloskey International has completed a £17million investment in Tyrone, Northern Ireland, building a new 120,000 sq ft manufacturing facility at Granville Industrial Estate. 117 additional jobs have been recruited at the business over the last three years, doubling the company’s workforce employed across its Granville and Coalisland sites to over 260 people. These additional jobs are generating almost £2.6million annually in additional salaries to the local economy. Invest Northern Ireland offered £1.8million to support McCloskey’s capital investment, R&D and training costs, part funded by the European Regional Development Fund. Commenting on the growth plans during a visit to Northern Ireland, owner Paschal McCloskey, said:“This is a significant and strategic investment for the business which is designed to increase export sales, particularly of our washing systems. “Construction activity within developing economies is expected to double over the next decade and we want to position ourselves to capitalise on emerging growth opportunities within the aggregate processing and waste recycling industries. McCloskey International, headquartered in Ontario, Canada, designs and manufactures mobile crushing, screening, recycling & washing equipment for global markets. 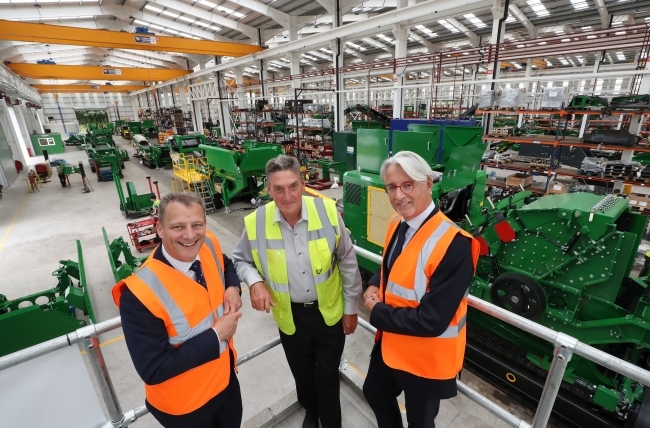 Welcoming the investment, Invest NI Board Member, Mark Nodder said: “This is a major investment by McCloskey International, which is an important player in Northern Ireland’s materials handling sector. Its growth and success is underpinned by a comprehensive and competitive local supply chain which contributes to Northern Ireland’s overall manufacturing exports, valued at just over £8bn1.